We saw her just as we were about to walk to our car. It was around midnight on March 18, 2015 on busy Fremont Street in downtown Las Vegas. My sister Julie and I had just eaten a late night dinner and were going to head home. We were surprised to see the band Zowie Bowie playing on the 3rd Street Stage, so we stayed to watch them do their last set. As we were dancing with about 200 other people I looked to my left and saw a woman alone. She was short and a little slow on her feet but smiling and attempting to dance a little. I kept my eye on her because she seemed older than the crowd and perhaps mentally challenged. She had approached a few young guys and was watching them and tried to dance with them a bit. They seemed like they were kind to her and let her hang with them so all seemed ok. My sister Julie was watching the whole scene too. At that point though we looked away and when I looked back a couple minutes later they were all out of my range of sight so I forgot about it. The next morning I was reading my daily newspaper, the Las Vegas Review Journal, (yes I still read the actual newspaper every day). I noticed a small article along the left side of one of the pages. It was a short paragraph about a local missing woman. There was no photo but the description said she was short and about 60 years old, mentally disabled (could not read or write), and a diabetic. She had been wearing blue and tan clothing and was missing for eight days now. She lived with her sister who was looking for her. 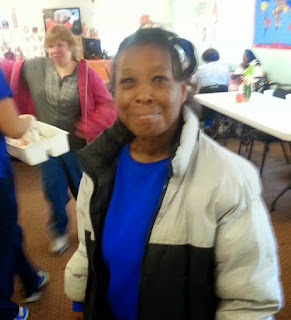 This woman had gotten on a bus during the previous week, (on Wednesday March 12) , and hadn't been seen since. The realization came over me that this may be the same woman we had seen the night before! So when my sister Julie, (who was visiting from Minnesota) woke up, I told her I had a very important question. I asked if she remembered seeing a woman last night and I described her. She said, "Yes, near the D Casino watching the band. She was wearing light blue and tan clothing." After this I pretty much knew it was her, but it seemed so unlikely that she'd been missing for a week and we were the ones who accidentally found her. But it was possible so I called the number in the article. It was the North Las Vegas Police station. I asked one question, "The lady who is missing that you mentioned in the paper this morning, is she African American?" The woman who answered said yes. I said, "We saw her, my sister and I, last night just after midnight on Fremont Street." Then I gave her the details and was transferred to another person who I told everything to, who then transferred me to a voice mail for Detective Sherry Bishop. I repeated to her voice mail what I knew. A few days later I got a call from the same Detective Bishop to thank me for our help and let me know Audrey was safe at home. She had been found sleeping in a church near where we last saw her, shortly after our call on March 19!! My friend Lori Hall of Red Rock Search and Rescue later told me that what we'd experienced is what they call a "confirmed sighting," and that law enforcement takes this seriously and acts on it immediately. I'm so glad they do and that in this case they did because they helped two sisters reunite, and it made my sister Julie and I very happy that we'd been a part of it all. Many times you hear of people who were missing (sometimes abducted) and they say they were out in public many times but nobody noticed them, or maybe they did and didn't know they were a missing person. What should you do if you see someone who may be in this situation and might need help? I know that every missing person doesn't necessarily want to be found, but I have to go with the belief that the majority do. Here are the websites you can go to to see if someone is listed as a missing person. FBI Missing and Kidnapped Persons website (This is not for most wanted, we are not looking for criminals here). We've finally done it...Las Vegas now has a major league professional sports team! The Las Vegas Golden Knights, the NHL's 31st Franchise, will announce their team roster as part of the 2017 NHL Awards. It all airs live from the T-Mobile Arena here in Las Vegas on June 21 at 4:30PM PT/7:30PM ET on NBCSN. The Golden Knights get to select 30 players, one from each NHL team. Although some NHL players are protected, (as allowed by the league) there are plenty available to choose from. The Golden Knights must choose 14 forwards, nine defensemen and four goaltenders in the expansion draft. The deadline to turn in their roster to the NHL is at 7am on June 21. The remaining will be chosen as part of the regular NHL Draft. During the time between the protected list having been made available to the Golden Knights, (which was on Sunday), and the end of the day today, other NHL teams cannot trade with each other, only with the Golden Knights. After that the first round of the regular NHL Draft will begin on June 23. By the way, the last time new teams were added to the National Hockey League was the simultaneous creation of both the Minnesota Wild and the Columbus Blue Jackets back in 2000. Hosting the NHL Awards honoring the top players of 2016-2017 season will be Joe Manganiello. 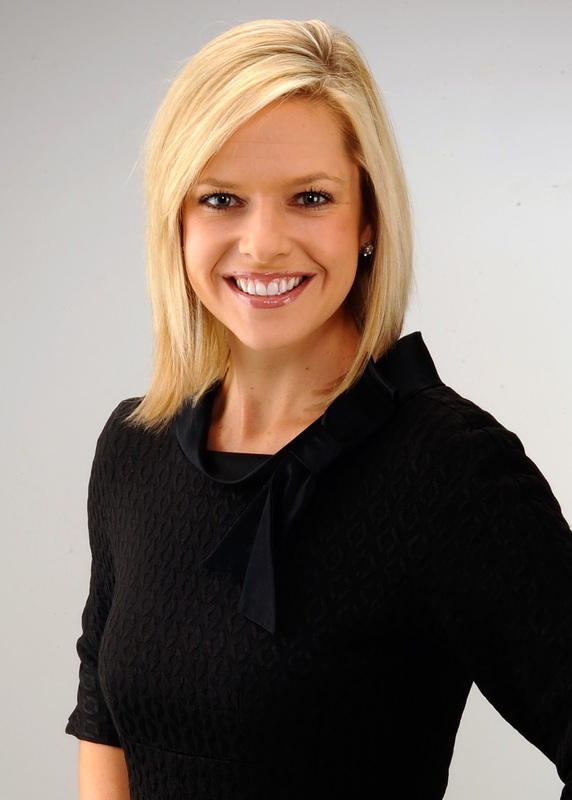 Co-hosts are Kathryn Tappen and Daren Millard. Kathryn, (pictured), is a host and reporter for NBC Sports Group, and the one I'm standing in for in rehearsals as Expansion Draft Host. The other co-host, Daren Millard is a Canadian sportscaster for Sportsnet. Creativity is not something that can always be scheduled and corralled-- it doesn't exist in that realm, at least not for me. It can be forced out at times (when it has to), but not consistently disbursed indefinitely. I tried to do this a little too much for a little too long and the result was I ran myself down. So back in late 2015 I decided to put my health and personal life first and some other projects were left to simmer on the back burner, like this blog. In this country we are obsessed with productivity, activity, and success. However there are areas that to me are more important now, and those are love, spirituality and physical/mental well being. Now that I have all of that back, I'm more excited for the future than ever! Thank you for subscribing and I hope you will enjoy the new Hollywood Underdog, a combination of Blog and Vlog, as I look forward to sharing my experiences, thoughts...and much more with you!